Choose Wales as the destination for your next golf break with your friends, family, society or golf club. There are two main golf courses close by, one of which is a 5 minute walk from Old Castle Farm Guest House, with another 4 golf courses within 18 miles radius. 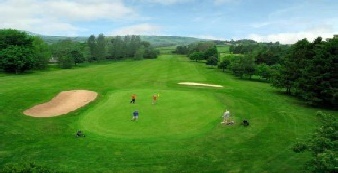 5 minute walk from Old Castle Farm Guest House, this unique club boasts over a century of tradition and is considered by many as one of Wales’ finest nine hole golf courses. The club was Founded in 1902, originally designed by James Braid and was only the tenth club to join the Welsh Golfing Union. This is an attractive parkland course with excellent drainage and great reputation for being in good condition all year around, particularly the greens. Its flat terrain makes for an easy and enjoyable walk, with breathtaking views of the Brecon Beacons providing an extremely pleasant and popular place to play golf. After a round of golf you can enjoy the comforts and warm welcome in the well-equipped clubhouse with a snack, a meal or just a drink. Cradoc Golf Club is a stunning 18-hole parkland golf course set on the northern side of the Usk valley some 2 miles from the charming town of Brecon in Mid Wales. This Welsh golf course, is the epitome of the phrase “golf as it should be” for the relaxed, friendly and unhurried nature of the game, and was designed by C K Cotton in 1967 to take advantage of the rolling Mid Wales hills and the stunningly beautiful views. 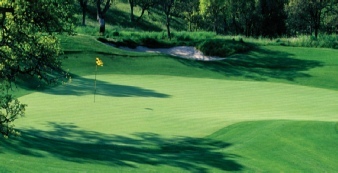 The golf course is noted for its natural surroundings, including mature tree lined fairways and an occasional water hazard, and gives golfers a challenging, yet entertaining, test of their golf.